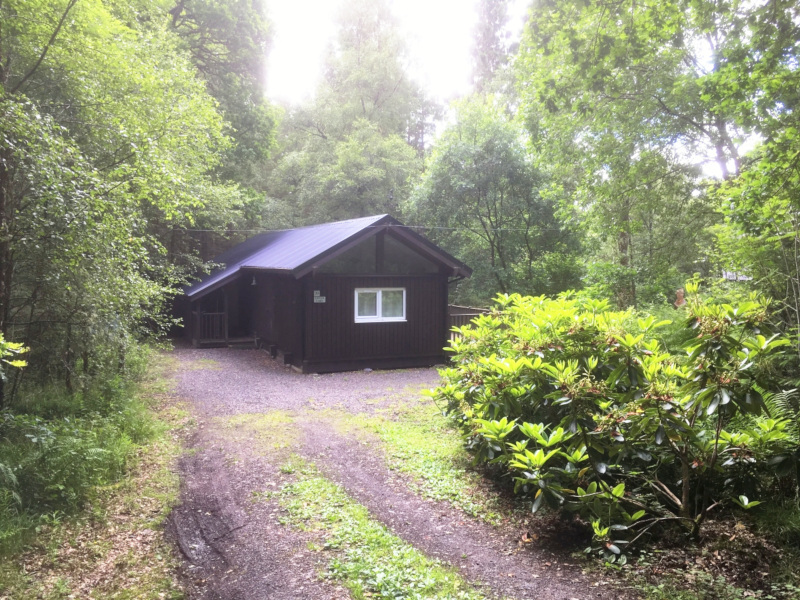 A lovely, spacious log cabin, hidden away in a peaceful location deep in the forest, offering comfortable, well equipped accommodation for up to four people. 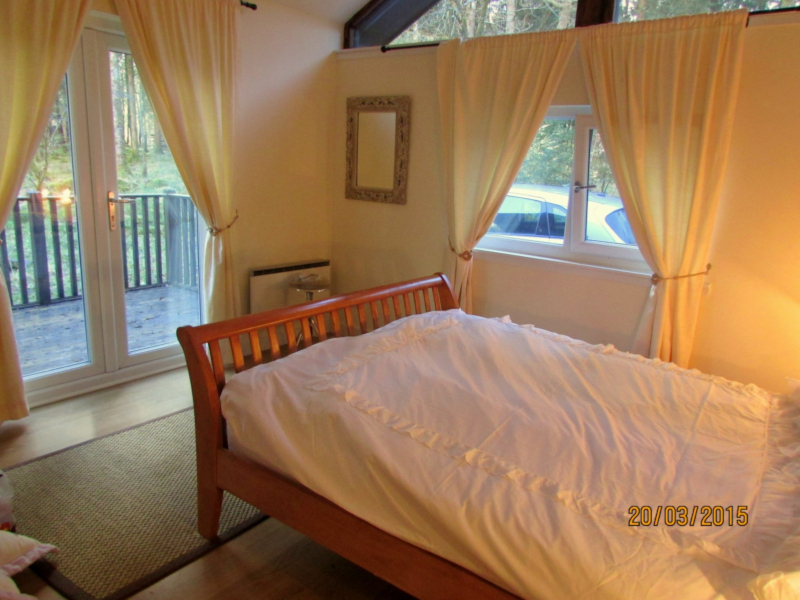 The cabin is a short walk to the shore of beautiful Loch Awe. Fully fitted kitchen with, oven, hob, fridge, freezer, toaster, kettle etc. Open plan living/dining area, with patio doors opening onto furnished verandah, with lovely views into the forest. Ample, comfortable seating for 4 guests, satellite TV with DVD player & free Wi-Fi. A selection of books and DVD’s are available for guests use. Front entrance porch, ideal for muddy boots or drying clothes & wet dogs! 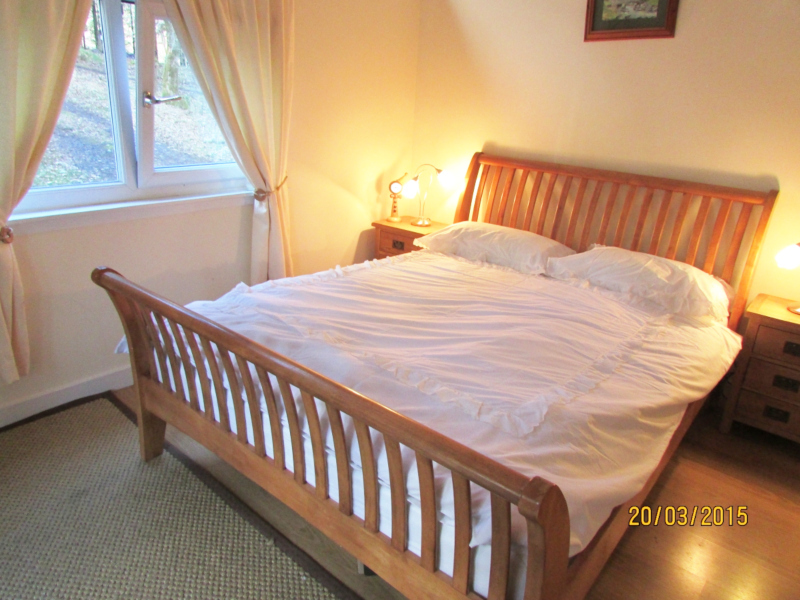 Double bedroom has a lovely outlook towards garden & forest with French windows opening onto veranda. It has a king size bed and wardrobe. 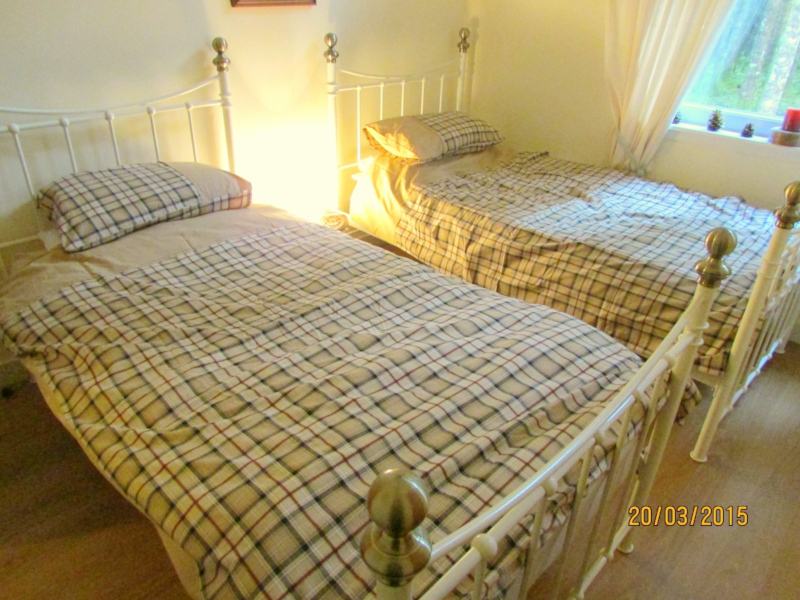 Bedroom 2 has twin beds with wardrobe and en-suite shower room. Window overlooks the forest. Family bathroom is tastefully finished and has shower, W.C., basin and bathroom cabinet. Outside there is a private driveway with ample parking for 2 cars, a large, raised veranda with garden furniture and extensive, secluded grounds. 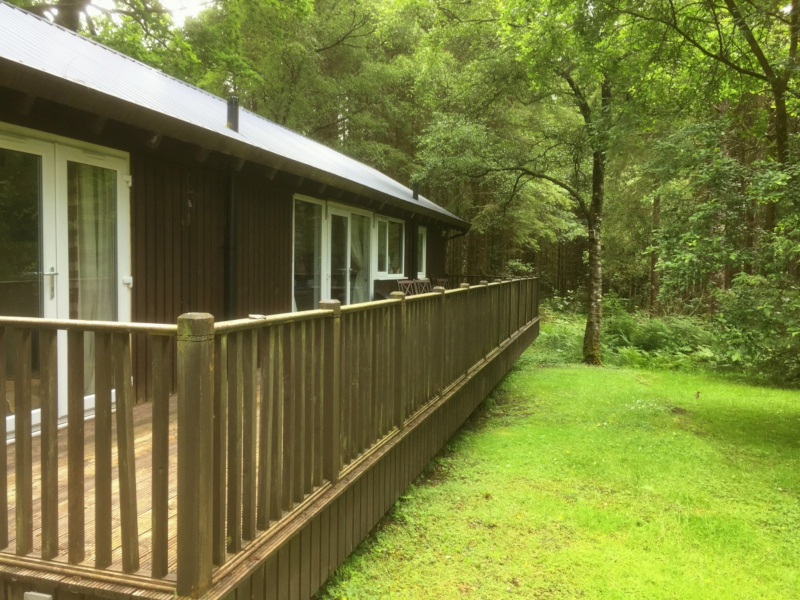 Barnaline Forest in which the cabin is located is an amazing wildlife habitat with a wide variety of regular visitors, including Pine Marten (may feed from veranda), Red Squirrel, Deer, Cross Bills and many other bird species. The perfect location for nature lovers! 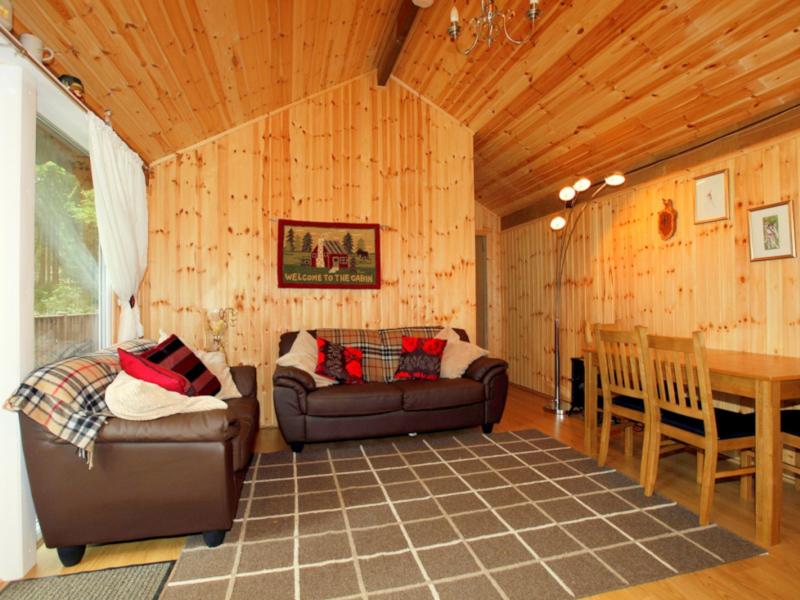 The cabin is well heated (electric – cost included) and furnished to a high standard. If you are looking for a relaxing, get away from it all holiday in a stunning location close to nature then Liever is the cabin for you. Liever is a No Smoking cabin. £100 required to secure your booking, with balance due 30 days prior to arrival.